​The Past is a Tattooed Sailor The world premiere of Simon Blow's fiercely witty and bittersweet new drama, based on the true story of his relationship with his great uncle and brightest of the bright young things, Stephen Tennant. Past and present are one in the sleeping manor house where Uncle Napier lives in an eternal doze. Upper class boy Joshua has sought out his great-uncle, long taken to his bed and drifting in memories of his glowing adolescence. Joshua is having his own roaring twenties with new builder boyfriend Damien, but the burden of class weighs heavy over the young man, and ghosts from the past cling to him like Uncle Napier's overwhelming scent. Uncle Napier draws both boys into his delusions that his own youth has not faded, and that a muscular sailor will give this Sleeping Beauty the reviving kiss. Thus Uncle Napier drifts in reverie. Until the two boys and Uncle Napier are sharply awakened by visits from Joshua’s rich Cousin Patrick. But what sinister thoughts lie behind Patrick’s tight-lipped comments? What exactly is he seeking? The Past Is A Tattooed Sailor is unique excursion into a lost world of sparkling aphorism and gloriously eccentric characters. A Cinema in South Georgia was shortlisted in the 2015 Edinburgh Fringe Sustainable Practice Award. 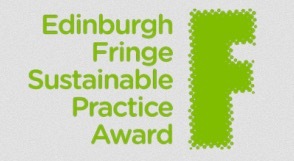 "First launched in 2010, the Fringe Sustainable Practice Award celebrates the best of sustainability and sustainable practice at the Edinburgh Festival Fringe and highlights the different exciting approaches Fringe productions are taking to sustainability." 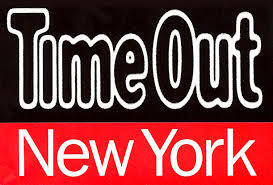 A Brief History of Beer has been listed as one of the 25 most phenomenal things to do in New York by Time Out magazine as of the 28th August 2015. A Cinema In South Georgia written by Jeffrey with Susan Wilson and directed by him had a splendid run at the Pleasance as part of the Edinburgh Festival Fringe having played to full houses at Berwick Maltings, Coldingham Theatre and Eyemouth Hippodrome. It continues to tour in Scotland. Based entirely on written and oral first-hand accounts and detailed research into the period in and around 1959 (the pivotal year for the show) A Cinema in South Georgia not only looks at the darker more contentious side of the whaling industry but is also a celebration of four men, who, at differing points in their lives, in different ways and with differing attitudes and outcomes risked their lives amongst the ice floes. Jeffrey has directed the recent Off-Broadway (Under St. Marks) hit A Brief History of Beer for Wish Experience. Having arrived in New York following an acclaimed run at the 2013 Edinburgh Festival Fringe, a UK & European and American Tour as well as being a critical smash at the Adelaide Fringe. It has returned to Adelaide and, it feels, has now had more performances than the Mousetrap! A Brief History of Beer is a one hour drinkeractive comedy where the audience travels through time with William Glenn and Trish Parry, all the way back to Ancient Sumeria, through to today, on a mission to save beer from a mysterious nefarious person! Jeffrey has recently finished filming on the new music video Danger in the Club for award winning rock band the Palma Violets. Palma Violets are a band from London. The ba﻿nd formed in 2011, based on the musical partnership of frontmen Samuel Fryer and Chilli Jesson.